I detest t-shirts that insinuate the school year is something to survive. Don’t just survive, thrive! I’m noting four things an educator can do to thrive during the beginning, middle, and even end of the school year. First, you need to connect with others. You can do this through Twitter, Voxer, professional organizations, at EdCamps, and in your own building. Being a connected educator has given me many ideas, mentors, friends, listening ears, and ways to reflect. Second, be positive. There are so many more positive things to share than be bogged down by the negative. Find ways to share those. I make a daily #GoodNewsCallOfTheDay for a different student each day. This is one of my favorites parts of the day. During the summer I count the days between the end of one school year and the beginning of the next with my #95DaysOfGWSummer daily Tweets. Finding and sharing the positive, however small, gives me an appreciation for even the simple things. Next, have some fun. If you are dreading going to work in the morning or are counting down the days until school is over, then it sounds like you need to have more fun. If you haven’t read “Teach Like A Pirate” or “Lead Like A Pirate”, you’re missing out. These books have inspired me, and countless others, to find our passion and bring joy into our work. Finally, make some changes. Maybe you can infuse more technology into your teaching, leading, or learning (like engaging students or staff with Quizlet Live or Flipgrid), plan for flexible seating, or even flip your staff meeting. If you’re just surviving, make some changes and start thriving! There are lots of folks out there who can help you learn and make positive changes to your teaching or leading. Don’t just survive, thrive next school year. Connect with me on Twitter @PrincipalFrench and I will help you find ways to bring more joy, passion, and fun into your teaching or leading. I’m in my fourth summer of Tweeting my summer learning, reflecting, and adventures. The first year I Tweeted for 90 days, the next year it was 100 days, and last year I used #89DaysOfSummer. This year I am using the hashtag #95DaysOfGWSummer to share a Tweet a day from students’ last day of the 2016-2017 school year to their first of the 2017-2018 year. Some of the reasons I started this were to share more about myself, show how I spend my summer, and demonstrate that my learning never stops. But, this year I have discovered another reason for documenting my daily summer Tweets. Doing this really makes me think about the positive things happening with my school and in my life. Finding 95 things to post during the summer days makes me reflect and pay attention to even the smallest things in life. I’ve posted about sunrises, sunsets, trees, flowers, friends, family, and food. I’ve also shared about my readings, connections, collaborations, and planning. I need to give credit to George Couros for this. In December 2013, at the TIES Conference in Minneapolis, I remember George saying, “If you’re not telling your school’s story, then someone else will.” I took that challenge and started my Twitter journey. I thought, I can certainly find one great thing happening in my school each day and Tweet that using a school hashtag I created. That idea grew and soon I was sharing more than one thing a day and I began connecting with others, participating in Twitter chats, and deepening my professional learning. I really enjoy my #95DaysOfGWSummer Tweets because it makes me look for the positive things in life. Sometimes I’ll capture an image and save it for a later post but most posts are about something I’ve experienced that day. I’ve been criticized for only focusing on and sharing the positive, but I’ll take that. Shouldn’t we be sharing the great things happening in our schools and in our lives? After all, there’s so much more of that happening than not. I admit it, I have FOMO, Fear Of Missing Out. It started on Facebook when it looked like others were having fun and attending events that I couldn’t or chose not to. I know, it’s weird, I’d make a choice not to go then have all these feelings about not being there. Now, my FOMO extends to my professional life as I see more and more blogs, posts, Tweets, and references about conferences and professional development others are attending that I’m not. I’m envious of those who travel to, attend, and present at local, state, and national conferences more than I do. I know it’s not possible for me to attend more than one or two national conferences a year due to time, work schedule, budgets, and resources, but my FOMO still doesn’t go away. As the ITSE 2017 conference draws near and more and more folks from my PLN share their excitement about attending, presenting, and meeting up, I have reflected on how to ease my FOMO from missing this, and other conferences, and still learn from others. First, follow the hashtags. Most conferences and some professional development sessions have a hashtag to generate excitement and share the learning. Follow those. There is even a hashtag #NotAtISTE17 to stay connected from afar. Second, follow members of your PLN. Follow the posts, Voxes and Tweets of your PLN members who may be attending a conference that you aren’t. Learn and live vicariously through them. Engage with them and ask them about their highlights and favorite parts. Third, participate in Twitter chats. Sometimes before, after, and even during conferences, there will be Twitter chats around the general conference or specific speakers, presenters, or themes. Search those out and join in. Next, expand your PLN. The more people you are connected with, the more you can read about and learn from their experiences. 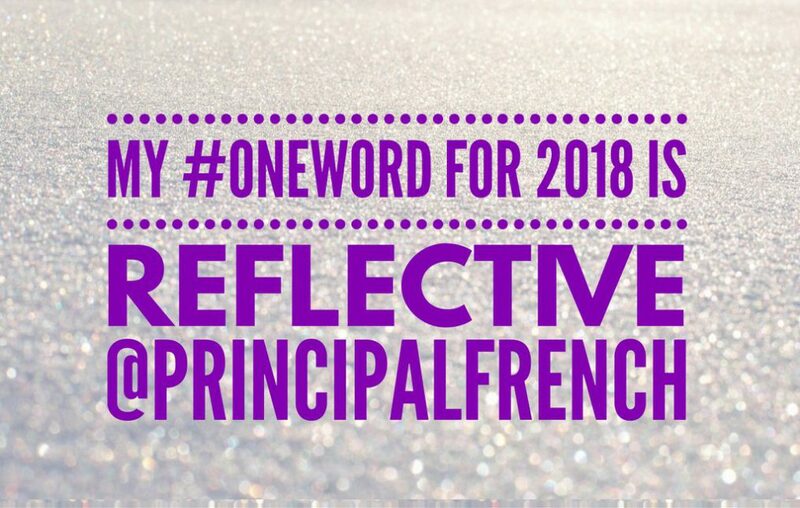 Even though I am unable to attend ITSE this year, I plan to follow the members of my PLN and will add others who are attending and sharing. Start local. Attend local or regional EdCamps and conferences. Generally, those are closer, easier and cheaper to travel to, and you can make valuable connections with others who may be near you. Start small and it may lead you to bigger events! Finally, give yourself permission and accept that you can’t do it all and sometimes you have to prioritize your own and your family’s needs. However, make sure you ARE attending conferences and professional development, even if it’s at the local level. The people you meet and connect with will have a lasting impact on you and they may be the impetus for you to attend more national conferences in the future which can help reduce your FOMO. I love my PLN for all the great ideas that are shared. Over the last few years I have taken and used, to some degree, the following practices members of my PLN have shared: TouchCast video; Smore for school newsletters and staff bulletins; coding and programming resources I use with students; reflecting and sharing by blogging; using Buncee and Flipgrid as presentation and feedback tools; and EdCamp style professional development for my staff. Another idea I borrowed from a member of my PLN (and I’m sorry I don’t remember who because I’d love to give them credit) is the practice of reading a different book each month to classes. This past year I read a different book during September, October, November, January, February, March, and April. I skipped December because I taught Hour of Code lessons to classes that month and May was so packed with other events and activities that it was hard to schedule myself to read to classes. In order to make myself available to 24 PreK-6th grade classes, I scheduled four two-hour blocks into my calendar each month, two morning and two afternoon sessions. Then, I created a Google Spreadsheet indicating the dates and times, sent that to teachers, and had them sign up for a 15 minute slot. I found that 15 minutes was the right amount of time. Sometimes the story didn’t take that long, but the month I read “The Butter Battle Book”, I had to read at a quick pace to finish in 15 minutes. But that was fun, reading quickly in the writing style of Dr. Seuss. I’ll be continuing reading to classes next year trying not to miss any month. I have already started to collect books I plan to read next year as suggested by members of my PLN. Those books are in the photo above. Principals, join me in reading to your classes. I had fun, it’s great modeling, you get to share your love of reading, and students enjoyed it. My 6th graders were just as focused and engaged in the stories as the PreK students and kindergartners were. Another practice I started last year that I need to be more consistent with is sharing and reading books to my staff. At our staff meetings I shared some of the books I planned to read to students. I did this to be a role model for literacy and share great stories with all licensed staff members, not just the teachers listening to me read in their classrooms. If you have a great book idea for my monthly story for students or to read to my staff, please share those with me on Twitter @PrincipalFrench. Thank you!